A helix is defined as a spiral that also has a linear dependence upon a third dimension. 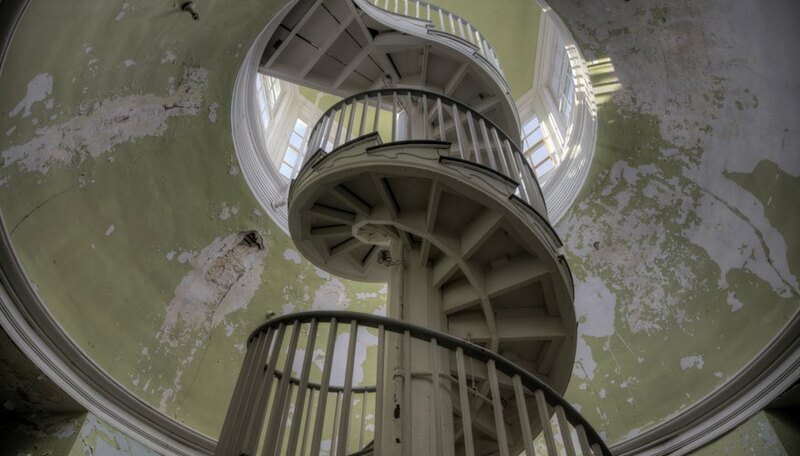 Found both within nature and within the man-made world, examples of helices include springs, coils and spiral staircases. The length of a helix can be calculated using a simple formula. L = (2^2 + 6.29^2)^(0.5) = (4 + 39.6)^(0.5) = 6.60 meters. Markings, Samuel. "How to Calculate Helical Length." Sciencing, https://sciencing.com/calculate-helical-length-7808380.html. 05 April 2018.